Do carefully consider your usual business schedule when switching warehouse vendors. Is the first two weeks of January always completely dead? That’s a great time to change warehouse vendors because you’ll have more than enough time to get everything moved and in order at the new vendor before they have to hustle to keep up with new business. Do change warehousing vendors before your current vendor can’t meet your needs to expand any longer. If your product is paper and you need a warehouse to store rolls of paper, make sure that your vendor can handle the increased volume. Rolls of paper are very large and additional volume can create a huge space availability problem. Do consider switching warehouse vendors if your transportation, delivery or import/export needs change. Even if the company has been serving you well, it creates hassles if they can’t keep up with your business’s needs. Don’t make a switch while you’re angry about a situation. Making an emotional decision over a situation that requires careful management can make the problem that much worse. If the warehouse vendor screwed up a shipment to your biggest client, costing you the account, think of how much worse it will be if you switch Edison warehouse vendors and lose more clients because of additional screw-ups during the transition period. Don’t switch right before a major campaign. If you’re pushing new products, services or concepts, there’s nothing that will throw profits away faster than not being able to deliver on them or having to take crisis action by providing express shipping services for free to keep your customers happy with your business. Don’t wait to change your Edison warehousing vendor until you’re in the middle of an active shopping season or other busy time of the year. Switching warehouse vendors during the holiday season, for example, may mean that you’re having to deal with more irate customers than usual because in addition to the problems caused by an overwhelmed shipping industry, you’re having to also deal with problems that come up due to the change you’ve made. Don’t wait to change vendors if there’s an ownership change or other aspect of the business that makes you uncomfortable. As a business owner needing a quality warehouse vendor, you have a right to know how long the company has been operating, whether it’s being sold in the near future, if the facility isn’t secure against theft, fire and other potential loss situations, or any other issue that raises concerns over how well your business will be handled. 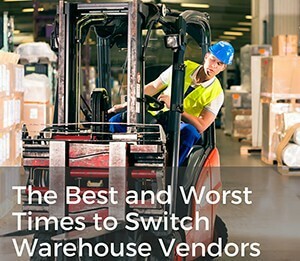 Now that you know when the best and worst times are to switch your Edison, New Jersey, warehouse vendor, it’s time to consider your options. 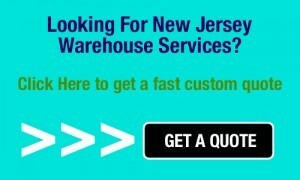 If you find you still have questions after looking at prospective warehousing partners in the area, please feel free to contact our experts at Quality Warehouse & Distribution. We’re always happy to help you find the logistics solutions needed for your business to succeed.